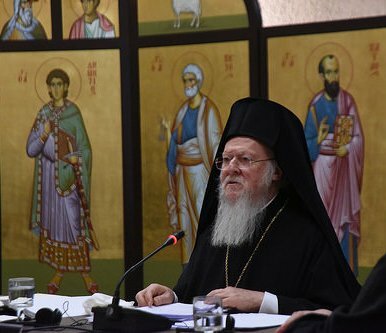 Prayer is key to the work of the Lausanne-Orthodox Initiative. 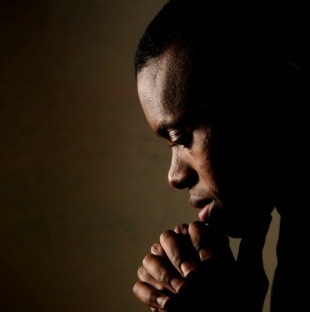 We would like to remind all those committed to this initiative that we value your prayers and provide regular prayer requests on our website. Please do visit our prayer page regularly, use the short prayer requests there and also encourage your church and others to pray for us. The World Council of Church’s Commission on World Mission and Evangelism (CWME) have just announced that the next World Mission Conference will be hosted by the Lutheran community in Tanzania in 2018 (on a date yet to be agreed). The CWME director, Rev. Dr Jooseop Keum, speaking about the theme of the conference, reflected that, “We need to reintroduce the aspects of radical transformation in the values of God’s kingdom in today’s troubled world. To this end, CWME intends to focus on three thematic areas as we move toward the 2018 WMC: transformation and discipleship; Holy Spirit and empowerment; the missional movement and the Pilgrimage of Justice and Peace”. See the full WCC report here. 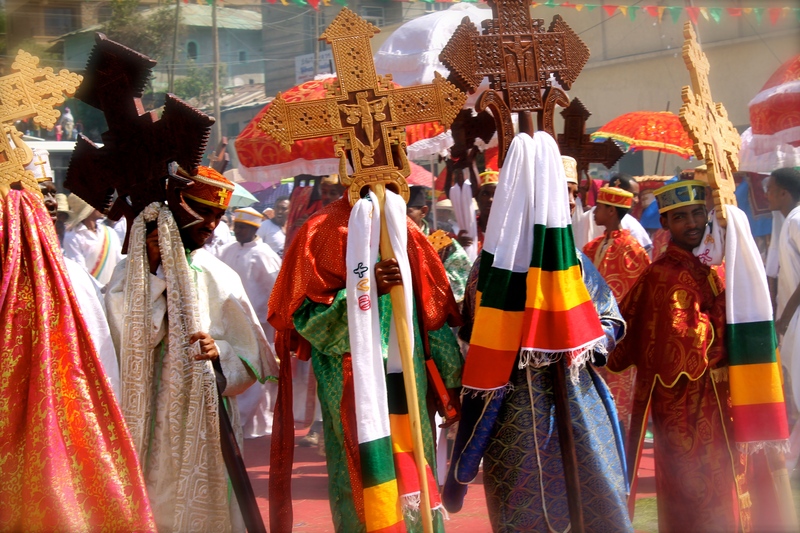 Tekle Belachew, an Evangelical leader in Ethiopia and a participant in the Lausanne-Orthodox Initiative offers his observations on last month’s Temqat festival within the Ethiopian Orthodox Tewahedo Church. “On January 19, 2016 (Terr 11, 2008 in Ethiopian calendar), Temqat (Timket) Epiphany celebrated in Ethiopia publicly by the riverbank or pond. “Temqat in Gondar” is particularly colorful both in the parishes, roads and in the palace pool of Fasiledes (built in the 17th century). Along the Ethiopian Orthodox Church the Catholics also celebrate Temqat. The white traditional clothing with colorful decorations, the flag, and different beautiful crosses made of different materials – gold, wood or bullet shell – contributes to the attractiveness of the celebration. 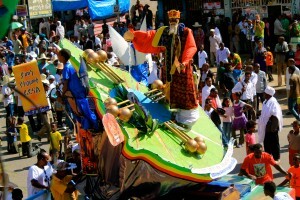 “Temqat is one of the major nine annual and ancient Christian feasts in Ethiopia. It is a public celebration like Mesqel – the finding of the true cross. The eve of Temqat (Gahad) which is the day of fasting, preparation and solemn procession of the clergy with tabots and the jubilation of the laity commemoration of the baptism of Jesus Christ by John the Baptist in the Jordan River (Matthew 3:14 and John 2:12). “Temqat or astereeyo – is a glorious manifestation. The voice of the Father from heaven and through the clouds, the appearance of the Holy Spirit in the form of the dove attested to the reality of the Holy Trinity, the Divinity of Christ, His humility and the genesis of His heavenly ministry on earth. “Among all men the more handsome Jesus was revealed.” (Degwwa – the Degwwa (Degua) is one of the major poetic-liturgical treatises of St. Yared – ). Yared also said “… the water has been blessed by his baptism.” The Degwwa of Epiphany says, “Jesus went to Jordan from Galilee so that John would baptize him at that river. Heavenly God has been baptized by the earthly hands.” Both the sermons preached, the publications distributed and the hymns sung all pointed out the mystery of the baptism of Our Lord Jesus Christ in the river Jordan is for the salvation and flourishing of humanity. 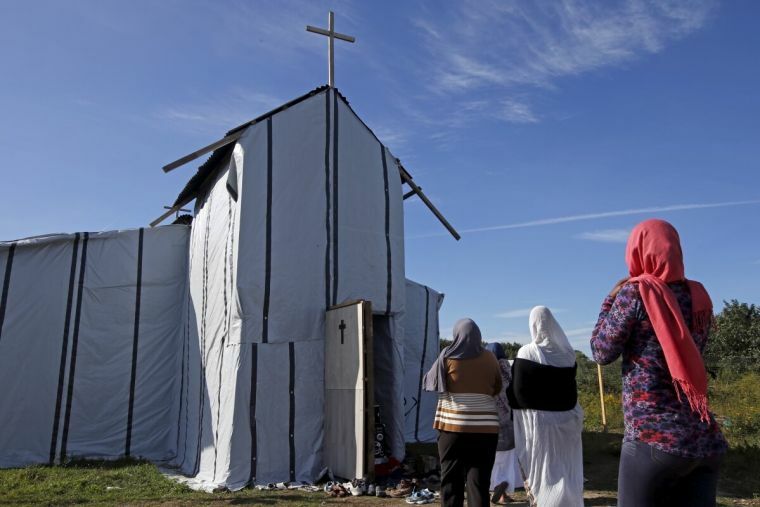 “On the morrow (the day after Temqat) there is another celebration, the commemoration of the miracle of Canna of Galilee where the Lord miraculously changed the water into wine. Besides the religious significance, Temqat has cultural manifestation with singing and dancing. In some places, the Temqat festival has been an opportunity for courtship where one proposes by giving out lemon. St. Michael’s church had previously featured on the BBC TV programme Songs of Praise and served Christians of several different traditions, Orthodox, evangelical and others. The mosque had around 300 worshippers daily. 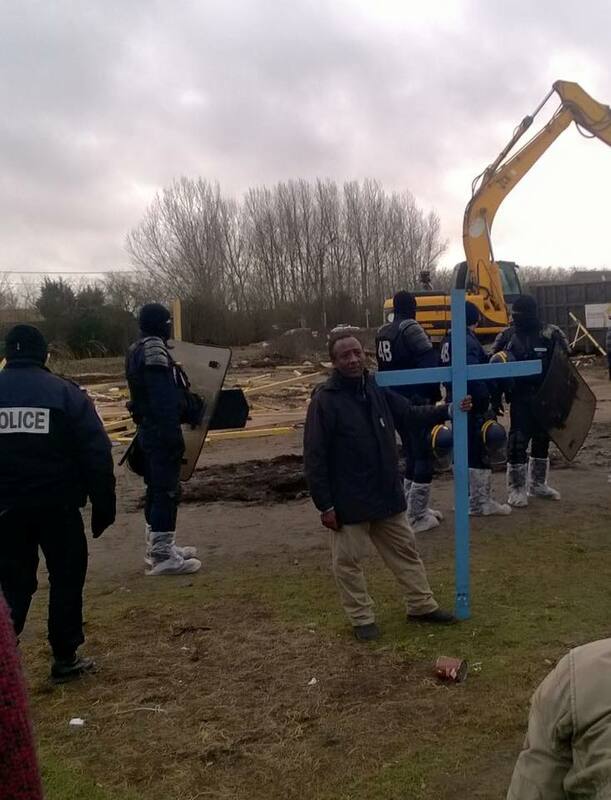 Believers are now trying to reconstruct their places of worship on a new site in “The Jungle”.